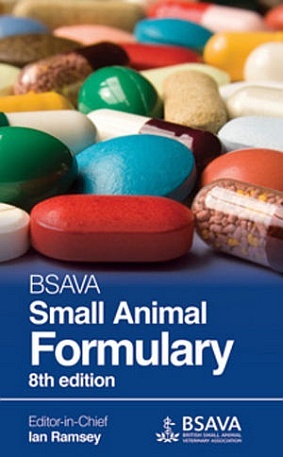 Celebrating its twentieth anniversary, the BSAVA Small Animal Formulary remains the indispensable guide to drugs used in veterinary practice. This edition has been fully revised and updated by an editorial panel of experts. As with previous editions, a number of new drug monographs have been added, including cetirizine, cisapride, moxifloxacin and torasemide, whilst those drugs no longer authorized for use in veterinary practice have been removed. The inclusion of examples of immunosuppressive protocols in the Appendix enhances the complementary information provided in the Formulary.